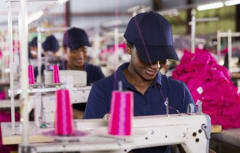 An independent review of the Better Work programme run by the International Labour Organization and International Finance Corporation (IFC) has shown a dramatic improvement in working conditions in hundreds of garment factories across seven developing countries. According to the study by Tufts University in the US, the programme has helped factories to move away from practices leading to long working hours, harassment and verbal abuse, while workers have seen an increase in their weekly take-home pay. IOSH has been supporting international efforts to help safeguard those working in garment factories, particularly since the collapse of the Rana Plaza factory in Bangladesh in 2013 in which more than 1,100 workers were tragically killed. Richard Jones, head of policy and public affairs at IOSH, said: “IOSH welcomes this independent research into the Better Work programme and its findings of a direct link between better working conditions and business success - demonstrating that these are an investment, not a cost. “We note the evaluation of its Supervisory Skills Training programme, which reports that training resulted in lower injury rates, supervisors more likely to listen regularly to workers concerns and greater productivity, particularly driven by the training of female supervisors. “The report highlights the need to avoid the damaging effect of rush orders and late-delivery penalties, which are associated with higher non-compliance rates for working hours and workplace health and safety, as well as higher supervisor stress, which in turn led to verbal abuse. Better Work was established in 2007 with the aim of improving working conditions and promoting competitiveness in global garment supply chains. The programme operates in seven countries – Bangladesh, Jordan, Cambodia, Indonesia, Vietnam, Haiti, and Nicaragua – and currently engages 1,300 factories employing more than 1.6 million workers. IOSH has previously emphasised the need for customers and buyers to ensure their demands on suppliers are always reasonable and to avoid late changes or unrealistic deadlines, as these can encourage poor health and safety and excessive working hours, said Richard. He added: “To help drive improved health and safety and good supply chain management, IOSH advocates improved corporate transparency, strong leadership and a competent and engaged workforce. To view the independent report, visit www.betterwork.org.